JOSE MOURINHO is Chelsea’s new boss — and that’s official! The Special One sealed a spectacular £40million four-year deal on Tuesday night. 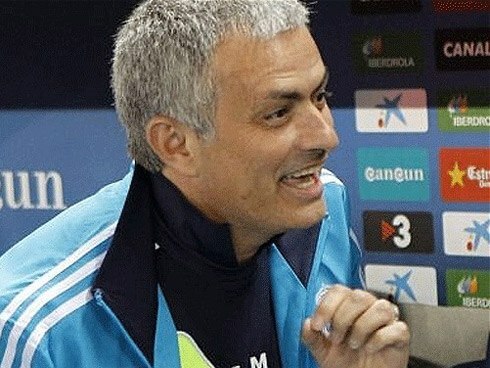 The Sun exclusively told you on May 3 that Real Madrid chief Mourinho was heading back to the Bridge. And we can now reveal Mourinho finally put pen to paper during a two-day trip to London this week. His cover story was attending the Crystal Palace-Watford play-off final at Wembley on Monday and visiting friends in the capital. But the real purpose of the visit was to seal an emotional return to his beloved Blues along with right-hand man Rui Faria. Now it is expected he will be unveiled next week in a blaze of publicity by the Europa League champions. That is after he has taken charge of Real’s final game at home to Osasuna on Saturday, which will bring to an end his controversial three-year reign at the Bernabeu. There is just time for the 50-year-old father of two to squeeze in a holiday with his family before starting work in earnest in July. Mourinho’s first match looks sure to be the pre-season friendly in Thailand against the Singha All Stars XI, the kick-off to a Far East tour that also takes in Malaysia and Indonesia. Then he will take the Blues to America for the International Champions Cup tournament which features two of Mourinho’s former clubs, Real Madrid and Inter Milan, as well as Everton, Juventus, AC Milan, Valencia and LA Galaxy. Much is expected of Mourinho, who won six trophies in just three seasons during his first spell at Chelsea between 2004-07.